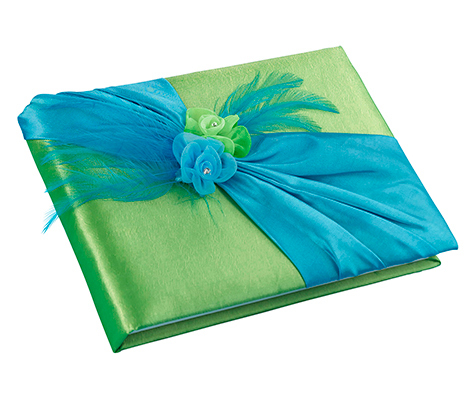 This eye-catching 8.5" blue/green guest book is beautifully created with vibrant colors and two color-matched flowers affixed to the front. Contains 55 pages and will hold 990 signatures. This pen set includes a silver pen with black ink and a 3.25" x 3.25" green satin base. 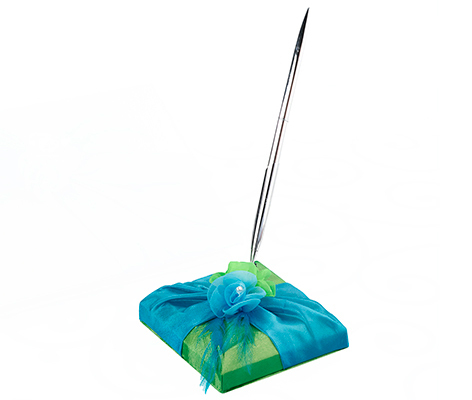 The pen base is decorated with a blue satin sash and two color-matched sheer flowers with rhinestones.